The remains of a Goldsboro native who was killed in the Vietnam War were recently discovered in Laos. Col. Edgar Felton Davis was part of the 11th Tactical Reconnaissance Squadron. He was shot down Sept. 17, 1968, 15 miles south of the city of Sepone, which is about 20 miles from the Vietnam border. He was aboard an RF-4C Phantom fighter-bomber when he was shot down. Davis was reported missing in action, but was later declared deceased after rescue teams were unable to locate his body or the aircraft wreckage. His remains were found by the Defense POW/MIA Accounting Agency earlier this year. Davis graduated in 1953 from Brogden High School in Dudley, NC. Later, he was an ROTC Squadron Commander and graduated from N.C. State in 1958. 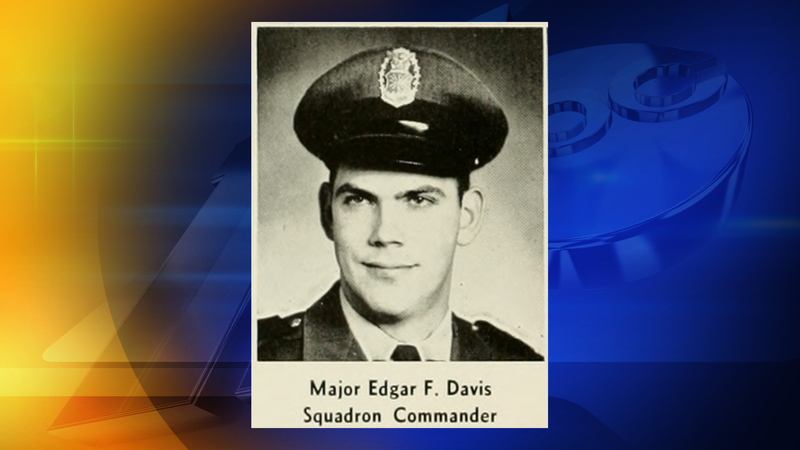 Davis will be honored Saturday at the 2018 Annual Freedom Classic, Air Force vs. Navy, baseball series game at Grainger Stadium in Kinston. There will also be a white rose painted on a designated POW/MIA seat in the stadium to honor his memory.